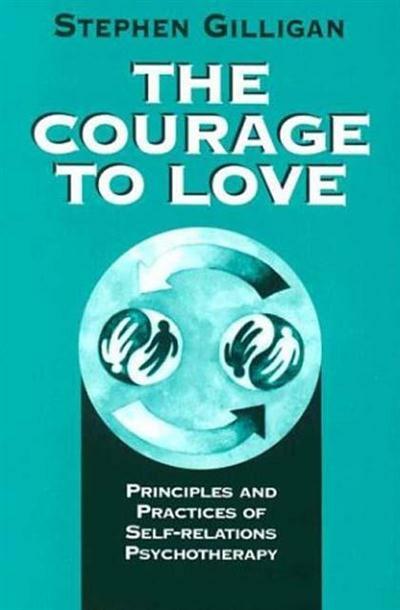 Stephen Gilligan - The Courage to Love: Principles and Practices of Self-Relations Psychotherapy (VHSRip) | Free eBooks Download - EBOOKEE! Posted on 2013-06-27, by nobihai. Stephen Gilligan - The Courage to Love: Principles and Practices of Self-Relations Psychotherapy 2 VHSRip | AVI / DivX, ~1309 kb/s | 640x480 | Duration: 02:33:29 | English: MP3, 160 kb/s (2 ch) | 1.36 GB Genre: Psychology and Behavior For the last ten years Steve Gilligan has been developing Self-Relations Psychotherapy. This videotape includes Steve's comments about the basic ideas and the clinical practice of self-relations therapy. Included are three actual first sessions with individuals with different presenting problems. In a time when love seems to be fading and hatred and despair rising, it presents love as a skill and force that can heal and invigorate, reconnect and guide, calm and encourage. In Gilligan's self-relations approach, psychotherapy is a conversation about competing differences. When these differences are treated violently or indifferently, problems arise; solutions develop when the skills of love are practiced. Those practical skills are described here, with an emphasis on postconventional ethics, Buddhist and aikido principles, and ideas of human sponsorship. No comments for "Stephen Gilligan - The Courage to Love: Principles and Practices of Self-Relations Psychotherapy (VHSRip)".